Courtesy photoNancylou's Couture will show hand knitted and felted wool items at Art Obsessions. TRUCKEE, Calif. – While Santa is figuring who’s been naughty and nice, Art Obsessions Gallery is preparing to usher in the season starting Friday, Dec. 7, with the Local Artist Holiday Fair. The event will take place every Friday and Saturday from 11 a.m. to 8 p.m. until Christmas. The kickoff will be Dec. 7, with artisans and crafters selling their wares for unique Christmas gifts. “It’s fun to fill the gallery with addition works of art during the holiday season,” said Jane Lufkin, Art Obsessions gallery director. “We want to provide a variety of beautiful handmade gifts for shoppers and make it easy for everyone to shop local. There are an incredible number of talented people in Truckee making all sorts of things, but they have limited access to venues for selling their crafts. These artists need a place to sell their wares during the Christmas season and we want to help them get some exposure.”Featured local vendors will include woodworking, jewelry, glassworks, textiles, therapy products and home decor. Here are some of the vendors you will find in the gallery:Alpine Glassworks: Sean Herr, owner of Alpine Glassworks has been blowing glass for 15 years. His focus is creating an aesthetically pleasing pallet on a canvas of glass. Sean makes glass bowls, plates, vases and Christmas ornaments.Archimedes Wear: Kathy Lockwood will be selling her felted bags, purses, and accessories that are unique, funky, colorful, intricate, eclectic, and fun. Cutler Creations: Cathy Cutler does pyrographic design on various woods making beautiful Christmas ornaments, sculpture and picture frames. Pyrography is a rare medium, using heat instead of pencils or paints, and wood instead of a cloth canvas to create one-of-a-kind natural pieces.Freckle Face Switch Plates: Kristen Anderson started putting her own artwork onto light switch plates in 2006 and from that, her image collection grew to more than 400, including vintage ski posters, crate labels, travel posters and many more.Nancylou’s Couture: Hand knitted felt winter hats, fitting for the “mountain locale,” have been Nancy Olson’s specialty for more than a decade. Featured nationally and sold locally, Nancy creates artful wearables of wool and silk in her innovative designs. 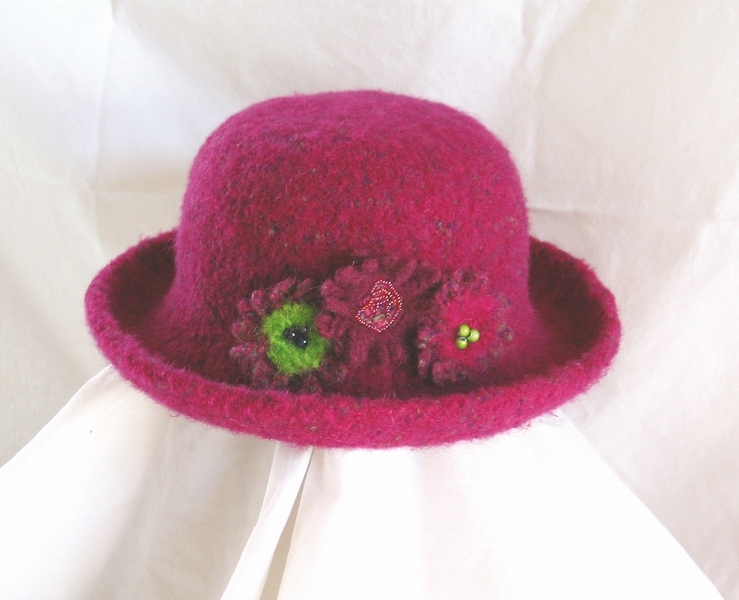 Nancylou’s Couture showcases her love of individual, made by hand, hats, scarves and brooches. Her current “obsession” is crafting wool-felted soap, perfect for gift giving.Neat Tweets: Greg Zirbel creates one-of-a-kind, redwood birdhouses and bird feeders that are miniature replicas of local historical buildings. These creative and unique birdhouses are so wonderful you will want to display them in your home as art.Truckee Handcrafts: Jane Lufkin sews beautiful microwavable or freezable pillows and wraps for soothing your body, warming you and your bed. Stamp out cold feet with her unique microwavable boot warmers that will warm and relax your ski boots so you can start your ski day off with warm toes. Kids love her warming pillows that soothe and help them sleep at night. Guaranteed to be a family favorite.Truckee Snowflakes Etc. : Janet Martin designs and fabricates assorted fused glass ornaments, jewelry, and fused/sand blasted plates and dishes.Enjoy the spirit of Christmas and support local artisans. The wine bar will be open and holiday spirit flowin’. Art Obsessions Gallery & Wine Bar is located in historic downtown Truckee, 10052 Donner Pass Road. Gallery hours are Sunday through Thursday, 11 a.m.-5 p.m., Friday and Saturday 11 a.m.-9 p.m. Visit http://www.artobsessions.com or call 530-550-9688 for more information.